The Centre for Innovation Law and Policy currently administers two, co-curricular programs at the University of Toronto, Faculty of Law. Both programs engage students, scholars from a variety of academic disciplines, policymakers, judges, practicing lawyers, and other professionals in the topics of innovation and law, through a variety of events and activities. The Program in Law and the Information Society is made possible by a generous gift from Microsoft Canada, and creates opportunities for advancing knowledge in the area of law and information, including through its sponsorship of conferences, workshops, roundtables, student activities, and visiting scholars. 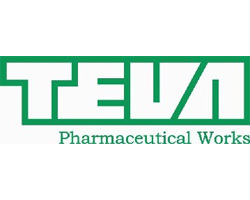 The Program in Patent Law and Regulation is made possible by a generous gift from Teva Canada, and promotes education and high-quality, objective research, writing and commentary in the area of patent law. Among other things, the Program sponsors the University of Toronto Patent Colloquium, held annually. The Centre for Innovation Law and Policy thanks Microsoft Canada and Teva Canada for their generous support.